Get to Know Me — This. One. Life. I live in Lander, Wyoming with my three young children and husband. My perspective on health has been inspired by my experience healing our two-year-old son, who struggled with behavioral issues, emotional outbursts, and severely interrupted sleep. After failed attempts to resolve these issues, they were ultimately eliminated with dietary modifications and balancing the micro-flora in his digestive system. I used similar dietary modifications to heal my own fibromyalgia, acne, anxiety, irritability, and overwhelm as a young adult. Both of these experiences opened my eyes to an approach to physical and mental healing outside our conventional medical model. As a Registered Nurse and Integrative Nutrition Health Coach, I focus on the multi-dimensional aspects of wellness and am committed to my clients successfully reaching their health goals and living a full and meaningful life. My eclectic educational, professional, and life experiences have given me rich insight into the interconnected nature of health, how to live life to the fullest, and the importance of focusing the nervous system's role in healing. Drawing on my expertise, I work with clients like you to help make lifestyle changes and form health-promoting habits that produce real and lasting results. You will develop a deeper understanding of food and lifestyle choices that work best for you, improving your energy, balance, health, and happiness. Each session will leave you feeling inspired and motivated. We will talk about things beyond food, seeking to bring balance to important elements of your life such as love and relationship as well as career and money. I will personally and carefully guide you to make simple, small changes that transform your life. I graduated from Marquette University in Milwaukee, WI with a Bachelors of Nursing in 2003. Starting in 2004, I worked with patients at the end of life. As a hospice nurse, my career focused on quality of life issues: relieving pain and uncomfortable symptoms while witnessing patients come to realize what matters most in life. I watched many people shift their life's focus to meaningful relationships, doing what they love, appreciating themselves, and slowing down. As people felt better with good pain and symptom management (from their hospice team) and they started focusing on what mattered most, I watched them heal—on a personal/emotional level and sometimes even on a physical level. Many of us wait until we get a terminal diagnosis to start prioritizing quality of life and realizing what matters most. One of the greatest lessons I took from my hospice work was the inspiration to feel good and focus on what matters in life NOW and not to wait for my big diagnosis. My practice as an Integrative Nutrition Health Coach focuses on managing the pain and many uncomfortable symptoms people live with on a regular basis while also putting attention towards what matters most in one's life. I especially enjoy helping autoimmune sufferers find the keys to their disease and unlock new levels of healing. I received my Master's Degree in Contemplative Psychotherapy from Naropa University in 2008. The program I attended at Naropa was grounded in the philosophy that our thoughts and behaviors are directly connected to our physical body. This advanced degree directly informs my health coaching practice because so many of us are accustomed to tackling illness with physical interventions: labs, supplements, pills, etc. We fail to see how critical the mind is in the healing process. My training as a contemplative psychotherapist allows me to help clients become aware of problematic thought patterns and then rewrite their stories, and change their beliefs to help the body achieve a state of healing. This education has proven to be fundamental in my approach as a health coach. 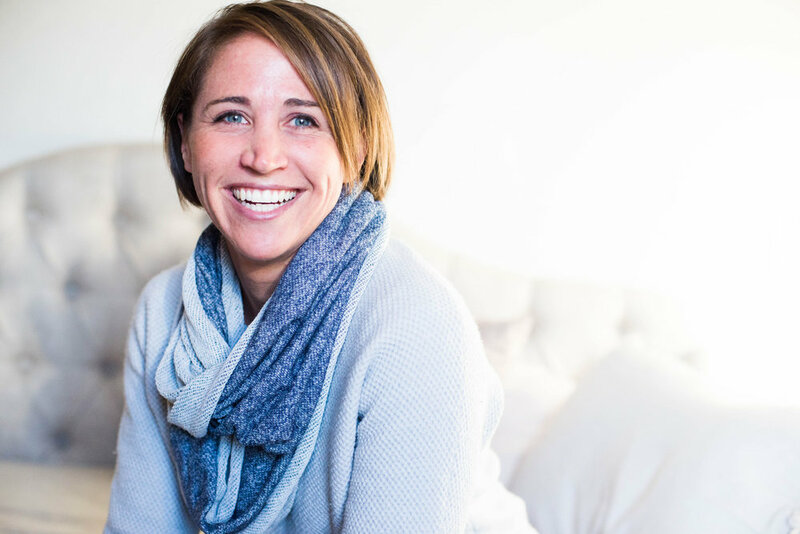 I am an Autoimmune Paleo Certified coach, versed in the science of autoimmune disease and practical strategies for helping people implement dietary and lifestyle interventions that support symptom management and healing. I approach autoimmune support from a holistic viewpoint, considering the root cause factors of GI health, microbial diversity, environmental toxins, hormone imbalances, nutrient deficiencies and stress. I believe strongly in the power of food as medicine and support clients in honing in on a nutritional plan that works for their individual biology. I have confidence in the Autoimmune Paleo Protocol as well as other dietary plans (GAPS, SCD, low-fodmap, etc) to influence autoimmune symptoms and support healing. My area of focus and expertise lies in the power of mindset, stress management, resilience, emotional and trauma healing, and practicing new responses to life as a means to leverage the autonomic nervous system's innate and powerful ability to self-repair and heal the body. Without this critical piece of the puzzle, I have found that most autoimmune interventions and therapies are not effective. I attended the Institute for Integrative Nutrition (IIN) from 2014 to 2015. IIN is a renowned international nutrition school that highlights the multi-faceted nature of health and teaches over 100 dietary theories. Not only did I learn a lot about food and nutrition during my education, but I also learned about how to take care of myself and my family in all areas of health—like career, relationships, exercise, sleep, and spirituality. My philosophy of primary and secondary foods as well as bioindividuality are core teachings at IIN. I studied with the world's top health and wellness experts including: Joshua Rosenthal, founder and director of the Institute for Integrative Nutrition; Dr. Andrew Weil, MD, director of the Arizona Center for Integrative Medicine; Deepak Chopra, MD, leader in the field of mind-body medicine; Dr. David Katz, MD, MPH, director of Yale University’s Prevention Research Center; Dr. Walter Willett, MD, DrPH, chair of nutrition at Harvard University; Susan Blum, MD, MPH, assistant clinical professor at Mount Sinai School of Medicine; Mark Hyman, MD, founder of The UltraWellness Center; David Wolfe, raw food leader and nutrition expert; Marion Nestle, PhD, MPH, professor at New York University’s Department of Nutrition, Food Studies, and Public Health; Mark Bittman, food writer for the New York Times and bestselling author; and Joel Fuhrman, MD, family physician and leading expert on nutritional healing.